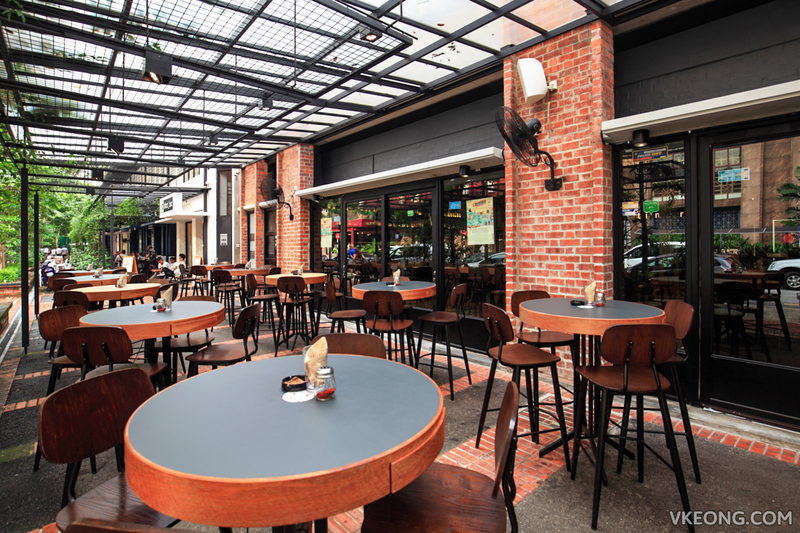 Timbre is a popular and successful chain of restaurant and bar in Singapore that offers good food, great drinks and wonderful live music performances at night. In fact, the last time we were at Singpore we went to Timbre+, a gastropark where old and new generation of hawkers converge to create a unique dining space. It was truly an experience to remember. 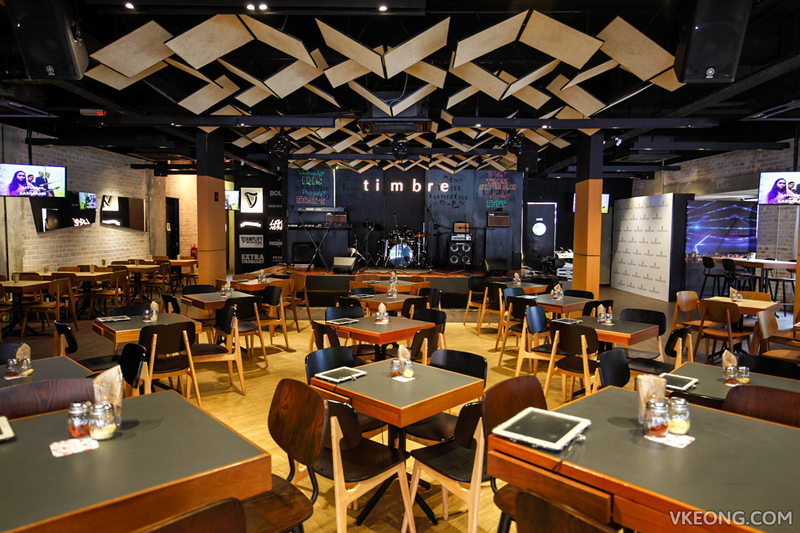 So when we found out that Timbre actually has branch in KL at The Row, we dropped by to check it out immediately. 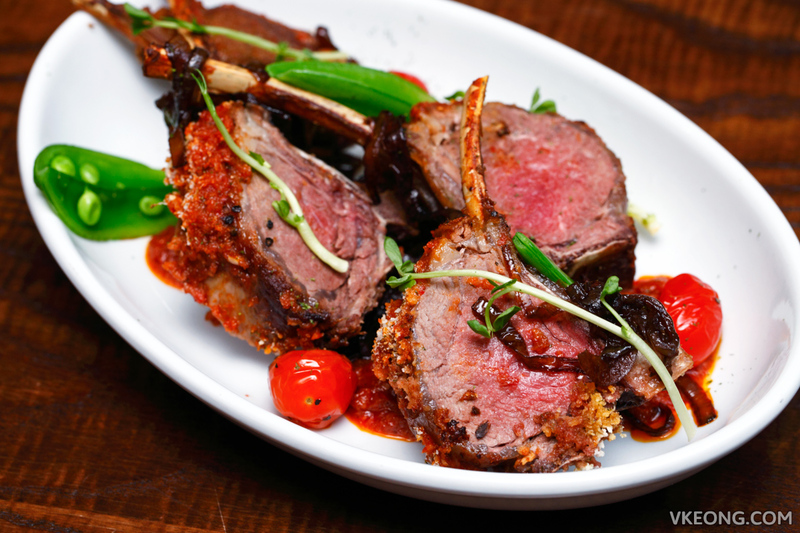 Timbre’s menu includes an extensive selection of drinks and food that may be a bit overwhelming to first timers. 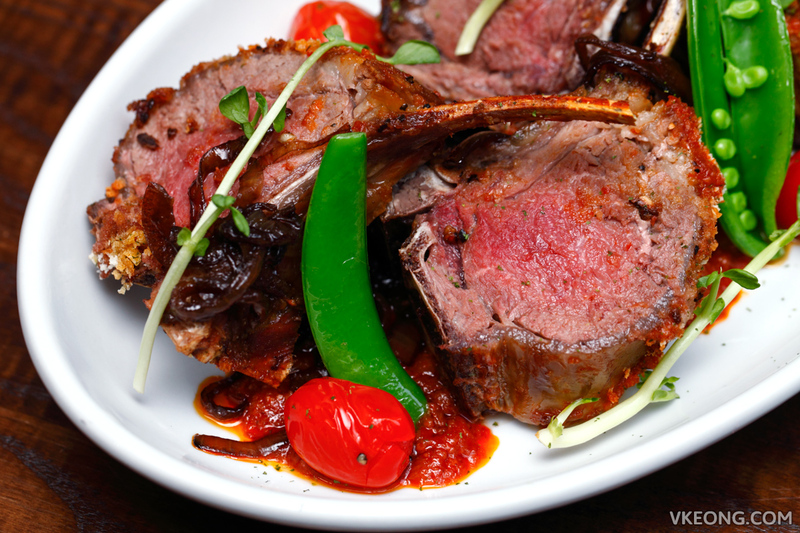 But here are some of their signature offerings that are hard to go wrong with. 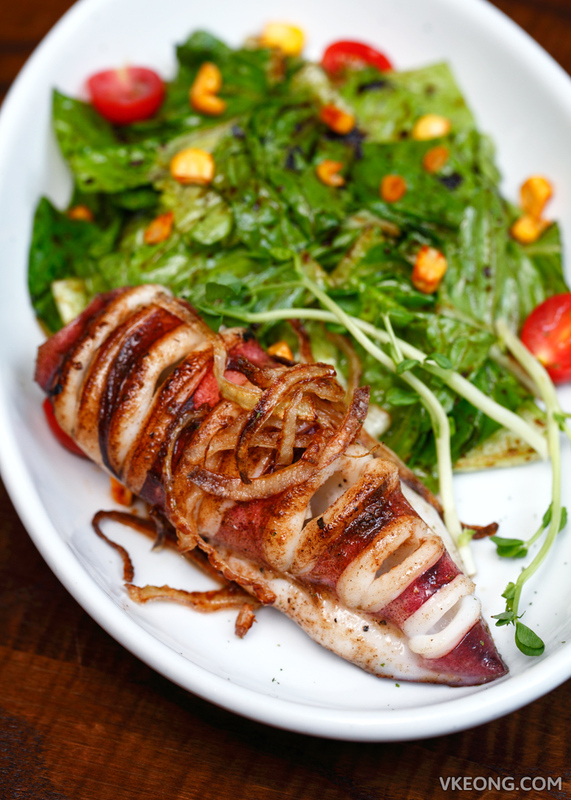 The Asian Twist Spicy Squid Salad @ RM22 features a full-sized squid on a bed of mixed salad tossed with chili kicap lime sauce. The squid itself was reason enough to order this, as it’s perfectly cooked and well complemented by the sweet and subtly spicy dressing. Steak might be a boring choice but I was hankering for it. 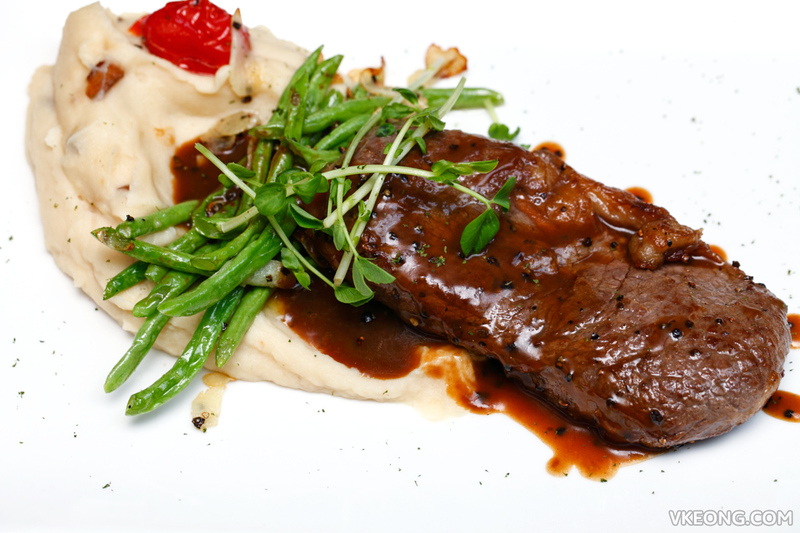 The Grilled Angus Beef Sirloin (250gm @ RM54) was tender and full of flavor. It certainly fulfilled my craving! Besides, the price is very OK considering an Angus sirloin steak would easily cost between RM45-RM50 at the supermarket. 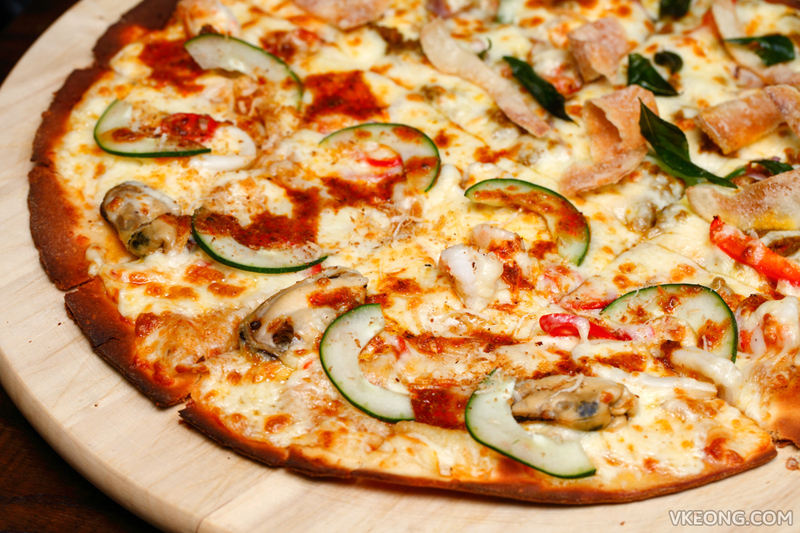 Timbre is also known for their pizzas which are made thin-crust with interesting choice of toppings. We had the Half and Half @ RM42 and picked Seafood Laksa and Curry Minced Lamb flavor. Both are equally good with more than decent amount of toppings. My preference favors the Seafood Laksa simply because it’s one of my favorite hawker food and they pretty much nailed the taste too. Since it had been quite a heavy meal, we opted something lighter for dessert. 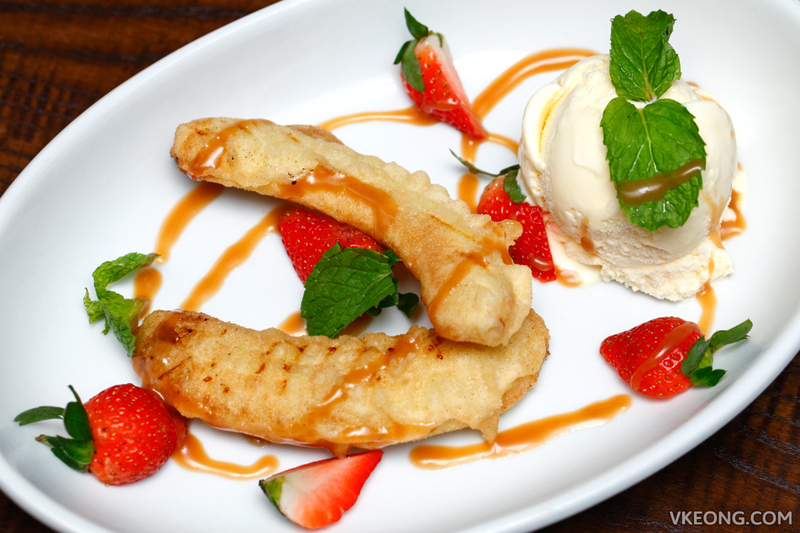 Instead of their best-seller Chocolate Fondant, we had the Warm Banana Fritters with Vanilla Ice Cream @ RM10. It was crispy, sweet and well-presented. Dozens of drinks are available here including beers, spirits, wines, cocktails and other non-alcoholic beverages. 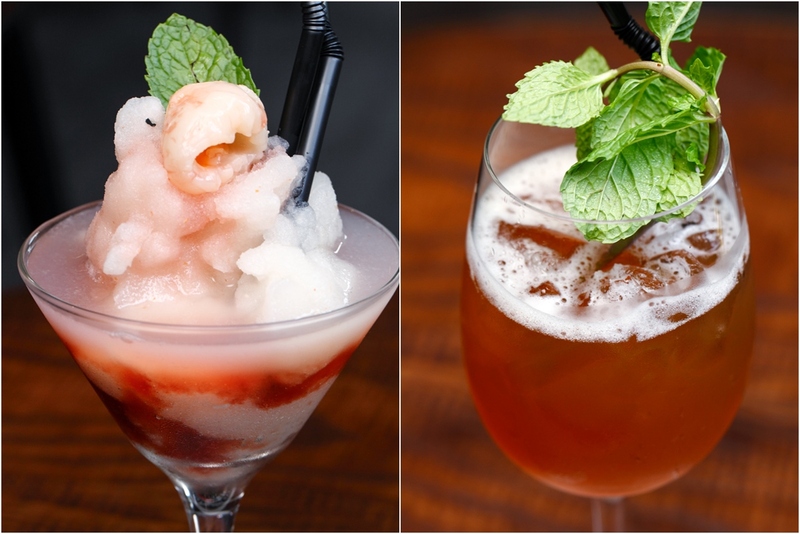 Shown above are their Sakura cocktail @ RM24 and Peach & Mint Ice Tea @ RM12. 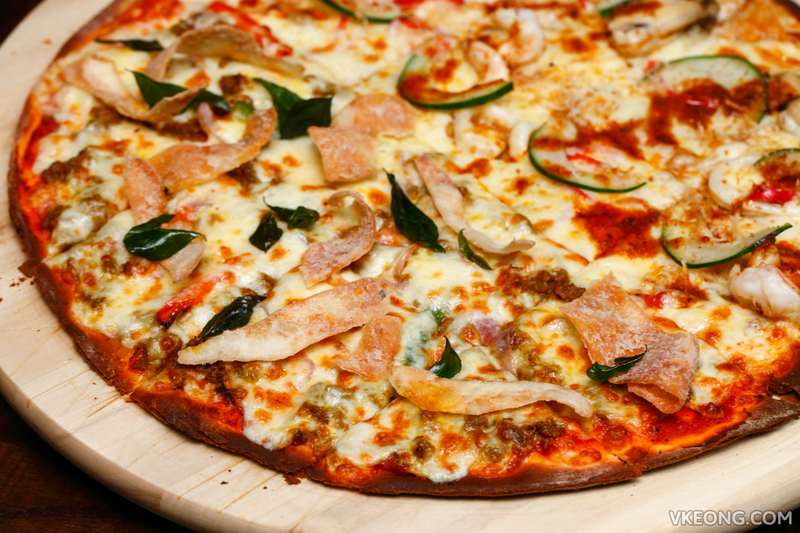 Crazy hour promos for drinks happens between 5pm and 7pm and you also enjoy 15% discount on all their pizzas. 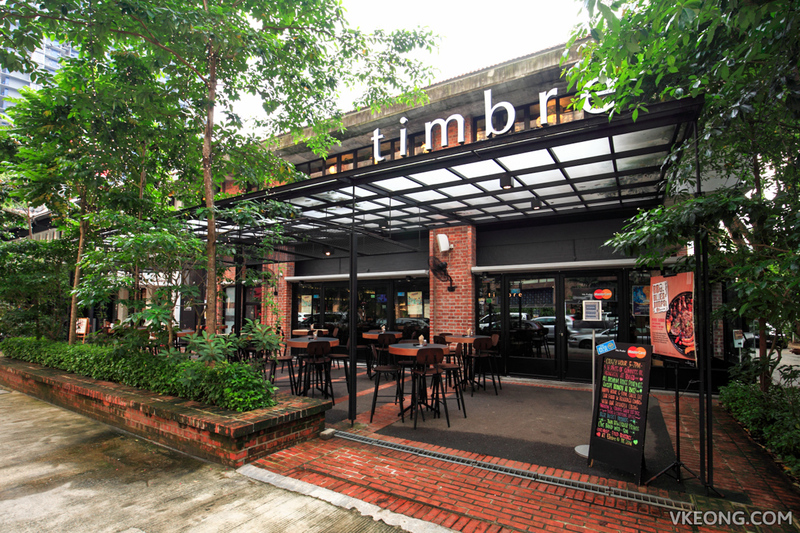 FYI Timbre’s live entertainment and bands are scheduled 5 nights a week from Wednesday to Sunday – usually from 8pm onward. To know more, you can check their website for the music schedule and other useful information such as when they would be closed for private functions. The post Timbre @ The Row, KL appeared first on Malaysia Food & Travel Blog.